In an earlier post, I called attention to the first-ever documentary about Chesley Bonestell, a name surely familiar to many in the AAS community. Often called the father of space art, Bonestell (1888-1986) worked as an architect on the Chrysler Building and Golden Gate Bridge and later as a special-effects artist on early Hollywood blockbusters, including Citizen Kane and War of the Worlds. Beginning in the 1940s, his futuristic paintings depicting space travel and the worlds of our solar system regularly appeared in magazines such as Sky & Telescope, LIFE, and Collier’s. 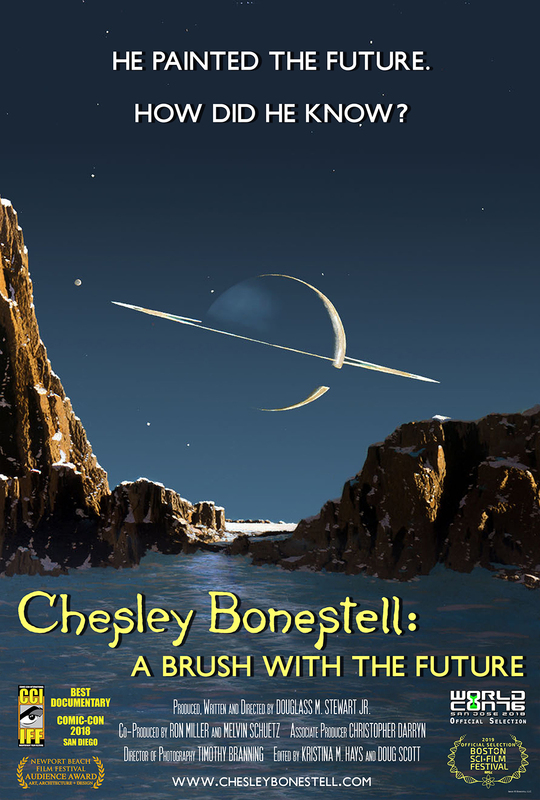 Because the new documentary, Chesley Bonestell: A Brush with the Future, is not yet in general release, I suspect many astronomers and other space enthusiasts were disappointed to see the rather limited list of upcoming screenings. Well, that list is expanding! It now includes an April 2nd showing at the Smithsonian Institution’s National Air and Space Museum in Washington, DC, and four more between 27 April and 2 May at the Jean Cocteau Cinema in Santa Fe, New Mexico, owned by George R. R. Martin, author of the books behind the HBO series Game of Thrones. Most screenings will be followed by discussions with the filmmakers and special guests. For more information and to order tickets, see writer/director/producer Douglass Stewart's latest newsletter.